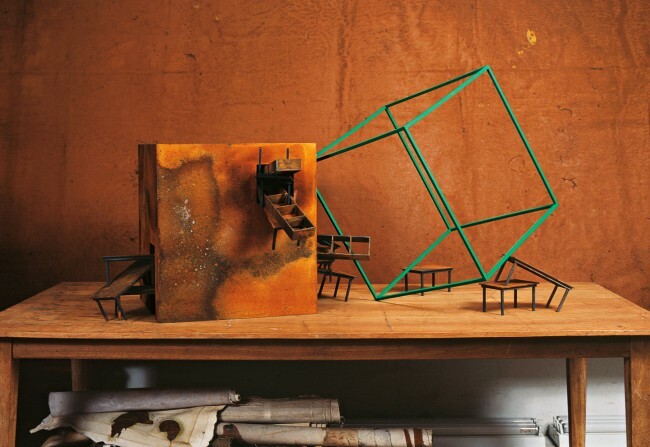 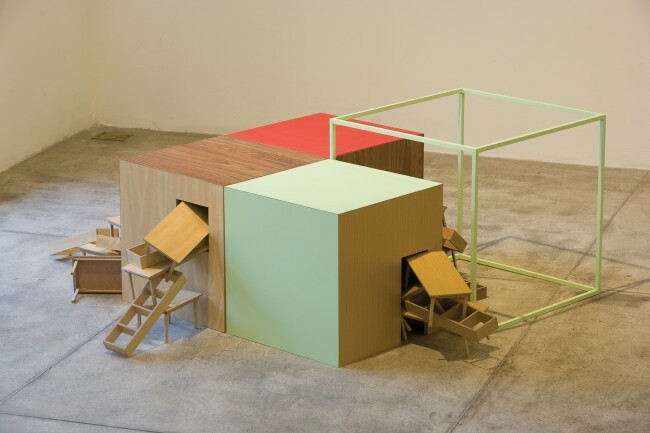 The Open House series, initiated in 2006, contains small-scale sculptures. 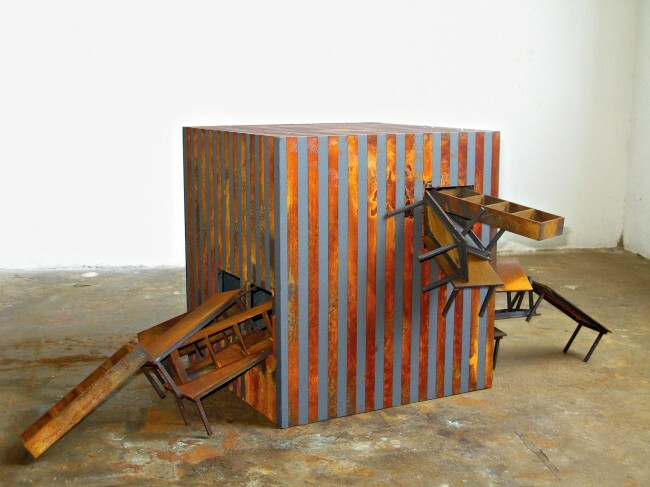 The objects are produced using different materials, such as Formica, wood and steel oxidation on wood. 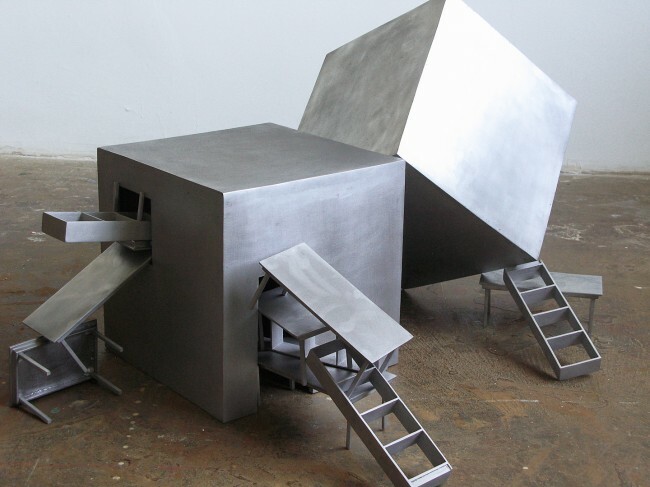 This series follows from a line of research that began in 2002 with the project A Casa (The house), which explores space in its actual dimensions. 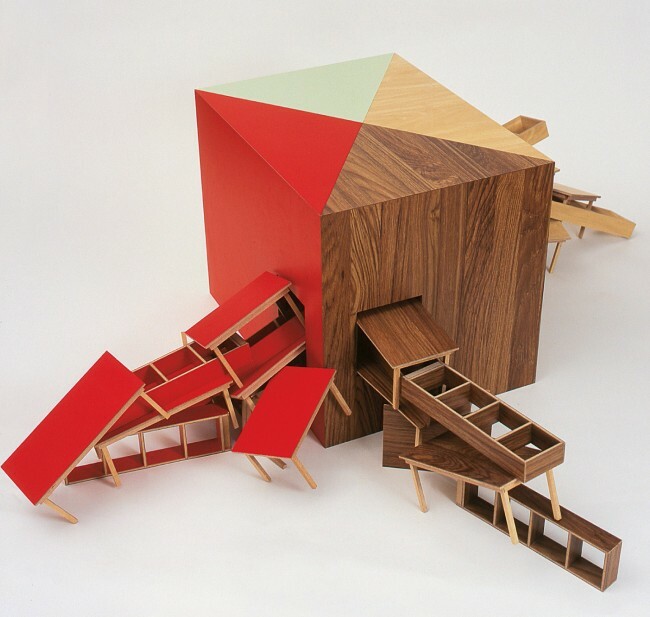 Fantástica, 2006 (from the Open House series); Formica and MDF; Edition of 2 + 1 artist’s proof; Variable dimensions, aprox. 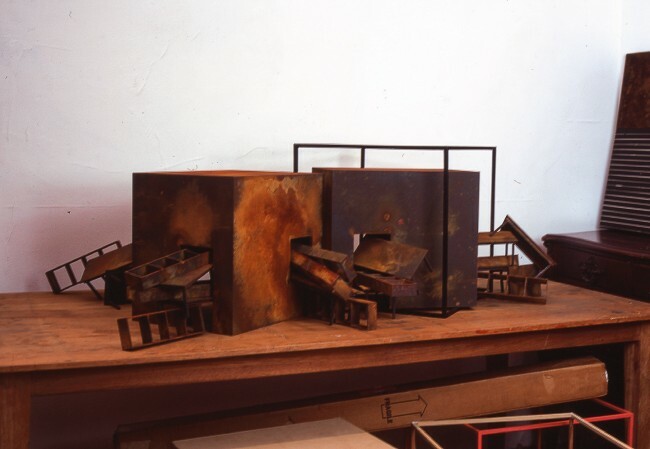 38 x 45 x 60 cm; Dedina Bernardelli collection, Rio de Janeiro, Brazil; Ricardo Rego collection, Rio de Janeiro, Brazil; Jennifer e David Stockman collection, New York, USA. 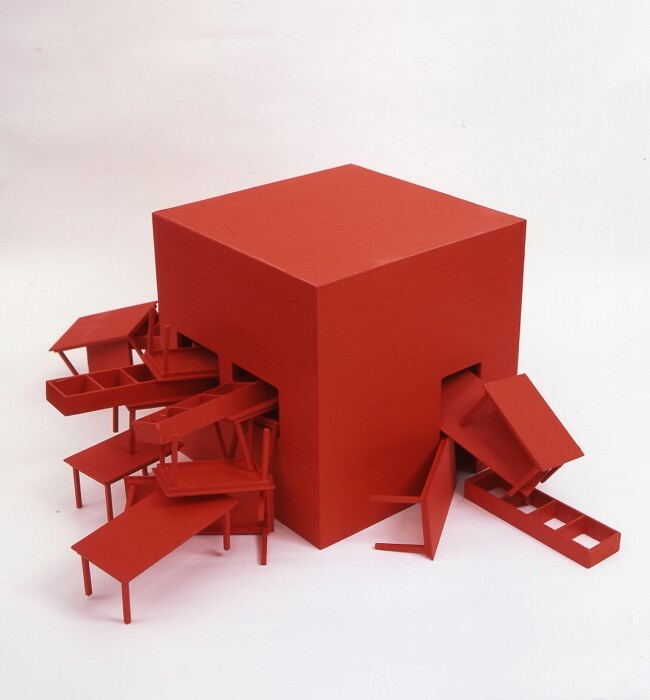 ; Pinacoteca do Estado de São Paulo collection, São Paulo, Brazil; Centre Pompidou collection, Paris, France.